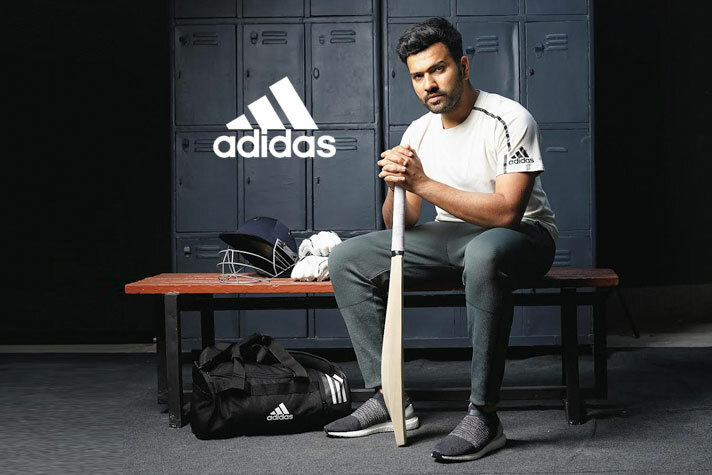 Global sportswear giant adidas has extended its partnership with Indian cricketer Rohit Sharma. Extension of adidas’ association with Rohit underlines how the brand continues to inspire young India through the stories of Indian icons. Rohit has been associated with adidas since 2013, and has since been the face of adidas India. He is a role model for any young aspiring athlete wanting to take to sport. It’s not only cricket, Rohit’ has extended support to sports beyond cricket which has contributed to the development of the overall sports culture in the country. Rohit is also a big advocate of Run For The Oceans and supports the global movement against Marine Plastic Pollution. “At adidas, we believe through sport, we have the power to change lives, and our association with Rohit will craft new journeys for youth to look upto. With his undying passion for sports and the creativity that he brings to the field, henot only makes the game of cricket more beautiful, but in the process also inspires young athletes both on and off the field. Rohit is also an ambassador of change,continuously propagating a message that helps the world to become a better place to live in. We are extremely happy to continue on this journey of bringing a positive change along with Rohit,” said Sharad Singla, Director Brand Marketing, adidas India. The ace batsman recently became the third fastest batsman — along with former India skipper Sourav Ganguly — to have complete 8,000 runs in One Day International cricket. In India, Rohit is joined by Kuldeep Yadav, Rishabh Pant, Hima Das, Manpreet Singh, Dipika Pallikal, Zeel Desai, Nikhat Zareen, Siddhanth Banthia, Manjot Kalra, and the recently signed Swapna Barman, who wear the 3-Stripes with pride. They are also a key partner for Real Kashmir FC which has been one of the most inspiring sportstories to have come out of India in the recent years. adidas has been propagating young talent in the country, late last year adidas signed up with Hima Das, Manpreet Singh, and more recently Swapna Barman.